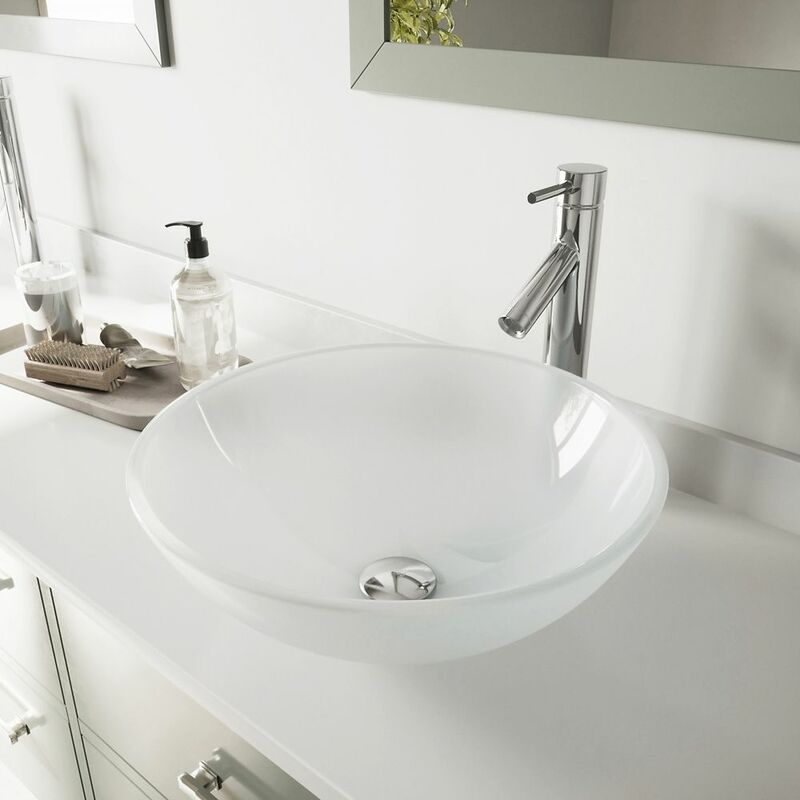 Vessel Sink in White Frost with Faucet in Chrome is rated 4.9 out of 5 by 7. Rated 5 out of 5 by Marc from Spiffy modernistic faucet Beautiful product, and no one else on the block is likely to have one. Rated 5 out of 5 by Rob1 from Vigo Glass Vessel Sink, Faucet and Drain Assembly Installed a few weeks ago. Simple to install each component. If Installing in stone, you will need a 1-3/4" carbide hole saw for the drain and a 1-3/8" carbide hole saw for the faucet. Plan the location of the sink and faucet for clearance purposes. Pre-plan and locate the components and you'll be OK. I am very happy with these items and I'm the only one on the block with one! Rated 4 out of 5 by Barry1 from Reasonable price and clean looking. Looked at many vessel sinks and choose this one as it was a complete product i.e. sink, drain and faucet.